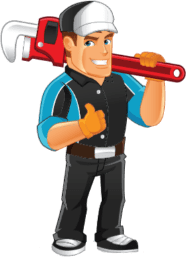 Water Filter Plumber Melbourne | Water Filter Installation and Repairs. There are three types of water filter. Sediment Filters – are used to remove suspended solids, dirt, rust etc. They are generally installed at the point of entry to the house or under the kitchen sink and ensures integrity under water hammer therefore no loose fibres are present to migrate into the filtered water. Reverse Osmosis – The most advanced and thorough method of water treatment with a membrane so fine that virtually all that passes through is pure water ensuring complete treatment of your drinking water. It provides a cost effective and energy efficient system whilst providing top quality water. Hazardous chemicals and agricultural chemicals. Usually used under the sink, bench top or as a whole of house system they are an economical and effective way of improving water quality. At Inner City Plumbing, we know all about water! We know all about the benefits of drinking a clean, refreshing and perfectly cool glass of filtered water right from your kitchen sink. We have over 20 years of experience in installing in-house filters for clean drinking water in homes around Melbourne, and we’d like to share some of those benefits of having filtered water at home. Have you ever noticed that sometimes when you drink water straight from the tap, it smells a little like a swimming pool and has a slight ‘metallic’ flavour? This is because our tap water in Melbourne contains chlorine, which acts as a disinfectant, and may also take on the flavours of the piping it has to go through to get to your kitchen tap. Filtered water tastes and smells better than unfiltered water, and also contains less chemicals than regular tap water, such as chlorine, lead and mercury. A water filter will also eliminate bacteria and rust from your drinking water. Apart from the initial set-up costs, a water filter in your home will also save you money. Rather than having to purchase bottled water for your family or for entertaining, you can have a constant supply of beautiful, clean water right at your kitchen sink. Our water filtration systems also use excellent quality filters, which will last a long time! For any information or advice about installing a water filtration system in your home or business in Melbourne, please contact us now for a free quote! 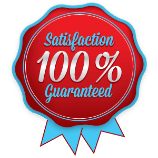 Water Filter Plumber Melbourne	Overall rating:	4.6	out of 5 based on 117	reviews.